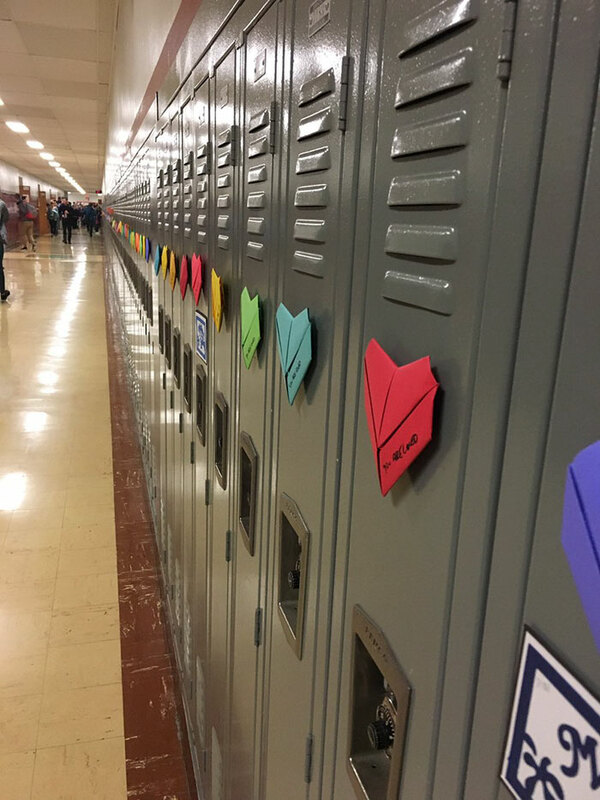 Over 1500 students attend Troy High School in Ohio, and one anonymous student made it their mission to make sure not a single one felt lonely on Valentine’s day. 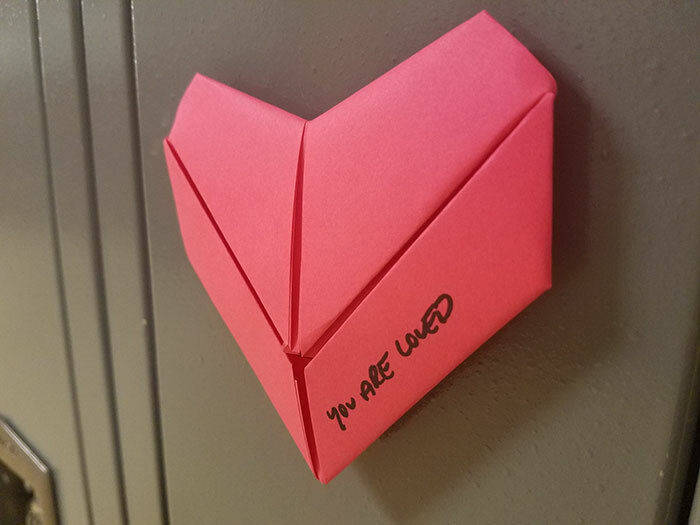 In a stunning act of kindness, the student prepared colourful origami hearts for all of their peers, and taped one to every locker lining the school’s hallways. As a staff member described, “these are individually hand written origami hearts that this person started working on back in September. This person has been secretly storing them in their closet at home to surprise everyone today.” Each valentine bore a simple message – “you are loved”. 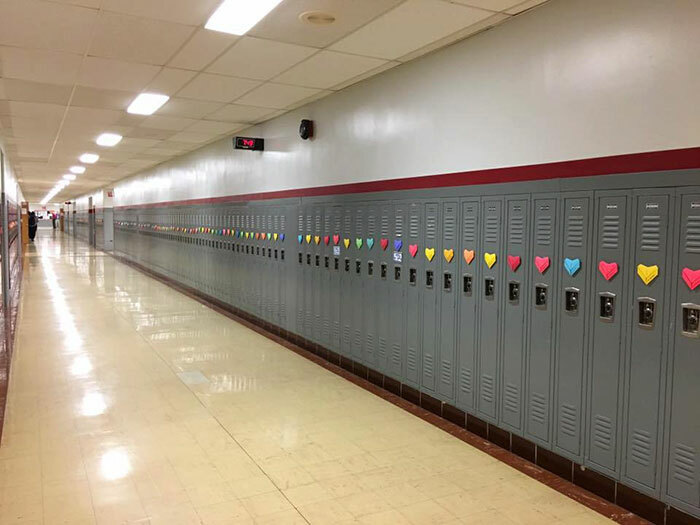 As it turns out, numerous high schools across the nation were similarly inspired to spread the love. 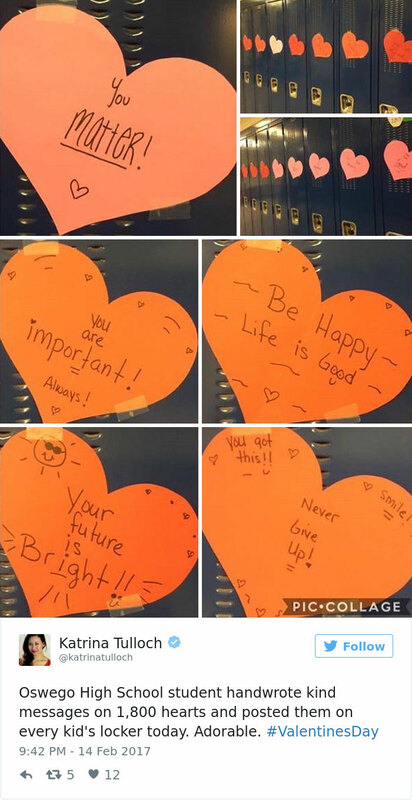 Unidentified students decorated lockers with cards, lollipops, and empowering messages scrawled by hand on paper. In a world where kindness can sometimes seem faded beyond recognition, these young people proved that it doesn’t take much to uplift those around you.